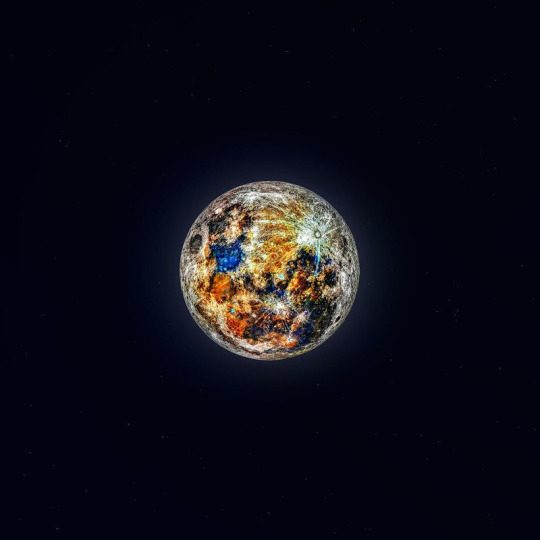 Different minerals impact the Moon’s surface leaving different splashes of colour as shown by the enhanced photo of the Moon created by extracting colour data from 150,000 photos of the Moon composed by Sacramento-based astrophotography enthusiast Andrew McCarthy. Combining 50,000 shots the 81-megapixel supermoon photo created an ultra-high-resolution image created by McCarthy. “The color was already in that picture, hidden behind the glare of the moon’s albedo, and represents the mineral content of our moon,” McCarthy says. 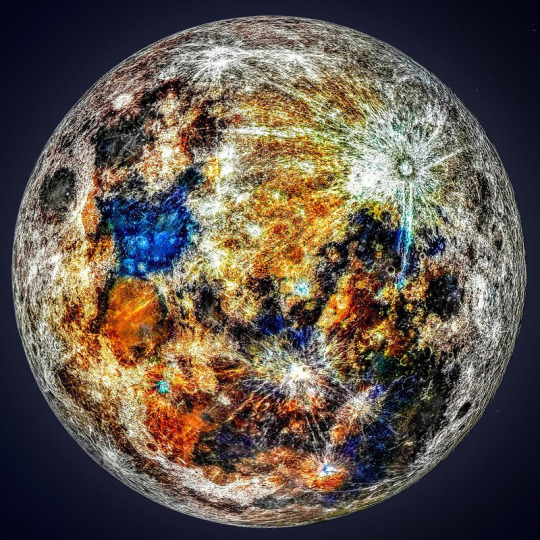 “While my previous images showed you the detail you could see if your eyes were sharper, this one shows you what the moon could look like if our eyes and brain were much more sensitive to color. Additional visualisations like the one above were created from the gathering of enough data by McCarthy in the course of capturing a huge number of moon images for the ultra-high-res image. “Because I took so many shots to average out the blurring caused by atmospheric turbulence, as well as to eliminate noise captured by the camera sensor, the accuracy of the subtle coloration of the moon was incredibly high, allowing me to apply saturation and contrast adjustments to create this moonstrosity,” the photographer says. McCarthy used a Sony a7 II full-frame mirrorless camera, a ZWO ASI224MC colour astronomy camera, a Skywatcher EQ6-R Pro computerized equatorial mount, and an Orion XT10 telescope to compose the image from the pictures he shot. “Much of it was just tinkering until I got the look I wanted,” he says. This entry was posted in General, General interest, Other photographers, Photography, Recent Posts and tagged astrophotography, moon, photography. Bookmark the permalink.